You are here: Home \ Science \ Nanotechnology: Amazing Solutions it Gave!!! 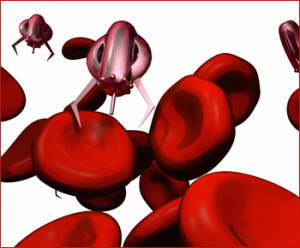 Nanotechnology: Amazing Solutions it Gave!!! A little word “ nano” which has come to light into the world’s consciousness over the past few years has craved up the scientific community and even humanity in speculating about a profound shift in almost every aspect of science and engineering with its implication for ethics, economics, international relations, day-to-day life. Some visionaries proclaim it as the panacea for all our woes while the alarmists foresee it as the next step in chemical and biological warfare and also as an opportunity for people to create species that will ultimately replace humanity. In the media, nano has captured headlines at CNN, MSNBC, and almost every online technical, scientific, and medical journal. 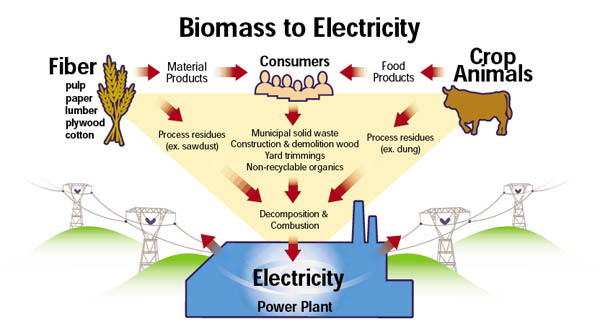 It is a technology that is predicted to constitute 15% of total production output in 2014, reaching $2.6 trillion in manufactured goods globally. ” Nano has hit the pages of such futurist publications as Wired Magazine, found its way into science fiction, and been the theme of episodes of Star Trek: The Next Generation and The X-Files as well as a one-liner in the movie Spiderman. In order to understand the unusual world of nanotechnology, an idea of the units of measure is involved. A centimetre which is one-hundredth of a meter, a millimetre which is one-thousandth of a meter, and a micrometer which is one-millionth of a meter are all still huge compared to the nanoscale. 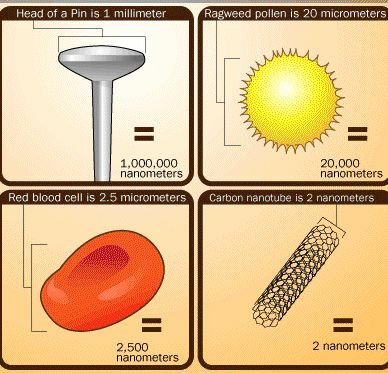 A nanometer (nm) is one-billionth of a meter a hundred-thousandth the width of a human hair. Nanoscience is, at its simplest, the study of the fundamental principles of molecules and structures with at least one dimension roughly between 1 and 100 nanometers. 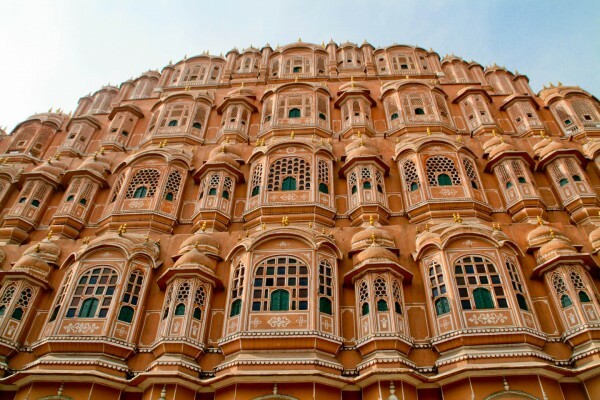 These structures are known, perhaps uncreatively, as nanostructures. Nanotechnology is the application of these nanostructures into useful nanoscale devices. So nanostructures can also be anticipated as the smallest solid things it is possible to make. Additionally, the scale of nano is unique because it is the size scale where the familiar day-to-day properties of materials like conductivity, hardness, or melting point meet the more exotic properties of the atomic and molecular world. At the nanoscale, the most fundamental properties of materials and machines depend on their size in a way they don’t at any other scale. Nanoscience with its recent developments also promises to lend hands to biomedicine. When DNA was discovered it was like a second renaissance to biomedicine as it would help in better understanding of how diseases and harmful conditions work, but it has not yet been able to use all that knowledge effectively to create treatments for many of humanity’s most serious problems. So, Nanoscience will help capitalize on that knowledge, taking advantage of developments in the physical sciences and in nanoelectronics. It is a well known fact that for all fundamental life processes nanoscale is the natural scale, and it is only this scale at which we have to deal with diseases and conquer them. Developments in nanoscale biomedicine have the potential to create implants so as to monitor blood chemistry and release drugs as and when required and on a target specific organ thereby preventing side effects of the drugs being used, which could prove itself to be a boon for diabetics and cancer patients and could result in better forms of birth control. Advances in cancer treatment are almost certain and may take the form of improved, directed chemotherapy and radiotherapy or even an outright cure for some forms of cancer. The fusion of interdisciplinary knowledge coming together at the nanoscale will be one of the great benefits nanoscientists will introduce into our lives. Nanotechnological inventions has lead to the development of artificial bone, cartilage, and skin using nanosized particles that will not be rejected by the human immune system as are more radical forms of human repair. 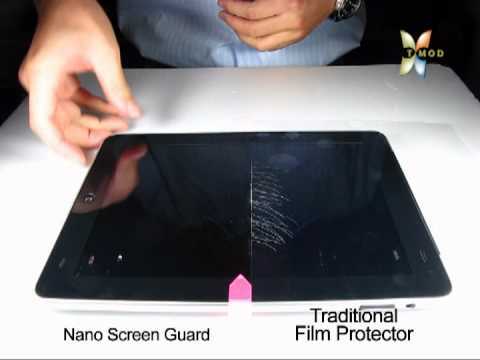 Nanotechnology has also influenced our day to day life. Nano skin creams and suntan lotions are already on the market, and nano-enhanced tennis balls are being used that bounce longer. German and Japanese manufacturers such as Nanogate Technologies have started selling bathroom and kitchen tile that cannot get dirty since it is impossible for dirt and grit particles to cling to the coating in much the same way that food cannot stick to Teflon pans. These self-cleaning tiles have now been impregnated with biocidal (antimicrobial) nanoparticles. This prevents growth of rots and fungi that infest bathrooms and enhances overall sanitation. Nanotech is also taking a stab at improving the venerable CRTs used in screens of television, desktops. Using nanotubes to replace scanning electron guns, manufacturers like Samsung are shrinking these screens and reducing power consumption. It is even possible that these screens will be small, light, and efficient enough for use in laptop computers. It is most commonly thought of that nanotechnology is just present in fields that are traditionally high tech but this is not always the case. Nano is now, literally, as can be said “in fashion”. 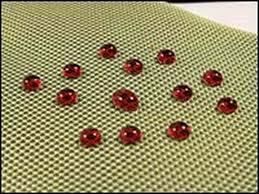 Advances in molecular-scale composite materials have allowed companies like Nano-Tex to create next-generation cloth and clothing. They have created materials that are almost totally resistant to stains and materials and combine the comfort of cotton or natural fibers with the strength and durability of synthetics like nylon are already hitting the market in products from Eddie Bauer, Lee Jeans, and Nano-Tex parent, Burlington Industries.These fabrics could be of great use in hospitals, where pathogens are common and patients are currently at significant risk from each other’s infections. All in all, while much of the promise of nanotechnology remains in the future, it is already slipping into our lives through our houses, our computers, our games, and even our bodies. The age of nanotechnology is truly upon us.